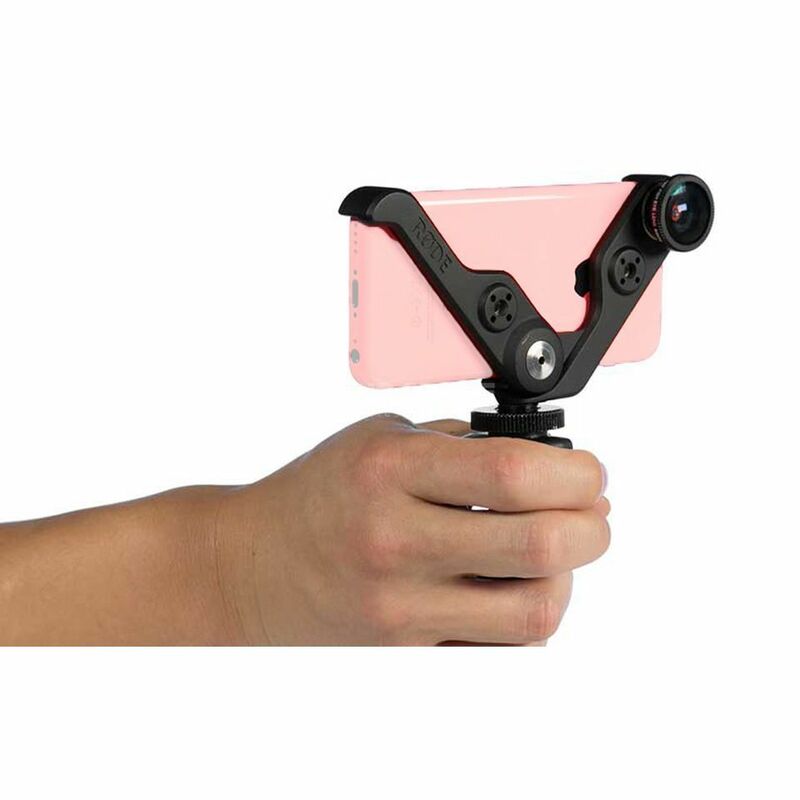 The Rodegrip + is a multifunction holder for Apple iPhone 4 and 4S with three high-quality lenses (macro, portrait tele, 180° fish eye). It is ideally suited for use in connection with the iXY. It features an integrated hot shoe adapter for cameras, a 3/8” thread for booms and stands, an integrated, foldable pistol grip. It can also be used as a simple table top stand.